Specially formulated to guard against wind, cold and sun, this light lotion not only protects but rebuilds skin with a complement of complete amino acids and many more skin nutrients. 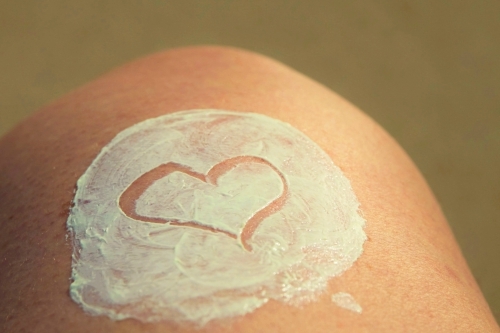 Cocoa butter, apricot kernel, avocado & coconut oils are naturally SPF 15. #1 bd : Nutures my skin! This lotion is wonderful!I like it to use all year round. It's light, and yet really makes my skin more supple.